Dallas is Texas’ 3rd largest city and the 4th most populous metropolitan area in the US, with a population of over 1 million people. It is also home to millions of smaller, more insidious residents – rodents, creepy crawlies, and other pests. The following will take a look at the ‘pest profile’ of the Dallas area and provide some useful information when it comes to identifying and addressing your pest control concerns. 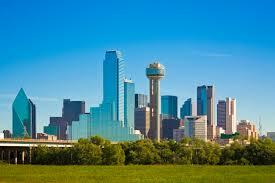 The climate of Dallas and the surrounding area is classified as ‘humid subtropical’. This means that the city is subject to hot, dry north-westerly summer winds which help drive the temperature to above 100 degrees about 20 days each year. Other seasons are often mild, although there can be extreme variations during the rest of the year, with freezing temperatures not uncommon in the winter months. This can lead to a similarly wide range of pest problems in the Dallas area and surrounds. Perhaps the most significant pest problems throughout the region include mosquitoes, gnats and spiders. Mosquitoes and gnats are really more annoying than a significant infestation risk. However, they are nonetheless a pest that can create troublesome problems for residents. Mosquitoes in particular can leave you covered in itchy bites, carry certain blood-borne diseases and can be a particular concern if you have small children. Pest control services can offer a range of systems to help mitigate your gnat or mosquito problem, including automated misting systems which disburse small quantities of insecticide to eliminate the problem. Spiders, while also not posing a significant infestation risk to a dwelling, can also fast become troublesome, dangerous and unwanted occupants of your home. Some species, such as the common house spider, are relatively harmless; others, such as the Black Widow or Brown Recluse spiders are particularly dangerous to humans. The Black Widow can be easily identified as having a shiny, black body and red hourglass-shaped pattern on its abdomen. The Brown Recluse can be a little more difficult to identify, but has a violin pattern on its abdomen and a distinctive dyad-paired six eyes (rather than the eight commonly associated with most spiders). If you suspect that you have found either of these species of arachnid in your home, you should call a pest control service immediately to avoid risking a potentially dangerous bite and to address potential infestation issues. One of the most reputable pest control service providers in the Dallas area is Dallas Fort Worth Pest Control, who service both Dallas and Tarrant counties. Started in 1969 as a family run business, Dallas Fort Worth Pest Control offers a range of pest control services and systems and has a range of certified applicators and entomologists on staff. Other options for pest control providers in the area include Critter Control (who specialize in problem animals and rodents, as well as general pest control), Proctor Pest Control and ABC Home & Commercial Services. For those interested in selling or buying a property in Dallas in the near future, it is important to note that Texas state law demands that all sales are accompanied by the provision of a FHA & VA Termite Inspection, which can be carried out by a certified agent. Most pest control providers are capable of providing this service.